This is the English version of an article that appeared originally in Italian as "Con sguardo lucido e disincantato." The interview was conducted by Niram Ferretti. Question: The Trump administration seems to be following the logic of MEF's Israel Victory Project launched in January 2017: it recognized Jerusalem as the capital of Israel, closed the PLO office in Washington, and cut funds to UNRWA and other Palestinians entities. With this, has your initial skepticism about President Trump's attitude towards the Palestinian-Israeli conflict changed? Answer: I remain skeptical. I see Trump's grand Middle East goal to weaken the Iranian regime. Toward this end, he has rewarded the Saudis with arms sales and the Israelis with Jerusalem. The steps against the Palestinian Authority serve as pressure on it to come to the table and receive what I expect to be its reward, namely recognition of Palestine with Jerusalem as its capital. If I am right, things will not turn out well. Q: Do you mean that you think he will be willing to concede East Jerusalem to the Palestinians? A: There is no legal entity called "East Jerusalem." The Trump administration has been careful not to specify what it recognizes geographically as the Israeli capital of Jerusalem, leaving open the possibility of its recognizing some portion of it for the capital of so-called Palestine. Q: Won't this be in total contrast to his declaration of Jerusalem as the capital of Israel and the issue of Jerusalem now "off the table."? A: I understand Trump's repeated use of this phrase to mean that the long debate about the U.S. embassy's location in Israel is now closed. But that still leaves open the putative Palestinian capital. Note that the Russians, in a widely-ignored step on Apr. 6, 2017, announced that "[we recognize] the status of East Jerusalem as the capital of the future Palestinian state" and "we view West Jerusalem as the capital of Israel." The U.S. government could do likewise. Statement on Jerusalem by the Ministry of Foreign Affairs of the Russian Federation. Q: It seems to L'Informale that these changes swept away old paradigms, changing the landscape of the Arab-Israeli conflict and offering Israel its best opportunity. Do you agree? A: We shall see. When the Palestinians do come to the table, things may look much less rosy for Israel. Q: What would you like to see in the White House plan for Palestinian-Israeli peace? A: I prefer no plan at all, but instead the U.S. government encouraging the Israelis to win their war with the Palestinians. That means convincing the latter that they cannot achieve their war goal of eliminating the Jewish state, they have lost, and they should instead build their own polity, economy, society, and culture. That's what we call Israel Victory. Q: Do you agree with John Bolton's point of view as stated in 2009, that the two-state paradigm is a "dead-end" solution? A: Yes – and funny that you should ask. He came out with this statement on Jan. 5, 2009. My similar statement appeared on Jan. 7, 2009. Q: Peter Mulrean, the director of UNRWA's Representative Office in New York responded to the Trump administration's ending of funding to UNRWA with: "There seems to be a gross misunderstanding about what UNRWA does in terms of passing status down to generations, and what UNHCR [United Nations High Commissioner for Refugees] does. Because UNHCR does exactly the same thing. There are Afghan refugees, including children and grandchildren who have received refugee status." Your reply? A: Mulrean is playing games. (1) In exceptional cases, yes, UNHCR does allow a second or third generation. But this is unusual, and it does not go beyond the third generation; with Palestinians, it is routine and it goes on unto the Nth generation. 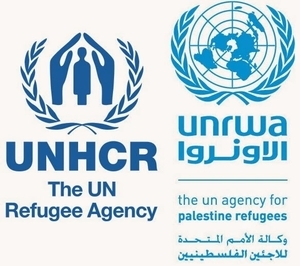 (2) UNRWA also allows other major exceptions unknown to the UNHCR: a Palestinian can acquire nationality and remain a refugee; a Palestinian can be living in "Palestine" and be a refugee. (3) UNHCR has the clear goal of settling refugees and reducing their numbers. UNRWA has the bizarre goal of keeping refugees in this unhappy status and increasing their numbers. Q: The Saudi-led bloc of Sunni Arab states shares with the Israel an interest in containing and terminating the Iranian threat. Is this alliance merely one of convenience or does it have long-term implications? A: Somewhere in between: The alliance exists because of a common threat but as it continues and deepens, it takes on a larger significance. That said, until the Palestinian issue is resolved, relations with Israel will remain fragile and limited. Q: Sohrab Ahmari wrote in Commentary about the Jamal Khashoggi affair: "We must be mindful that a cruel order is still better than disorder, that a bitter friendship is still better than enmity and friendlessness, and that no Jeffersonian democrats are waiting in the wings among the Saudis." Do you agree? Did 9/11 matter less to Americans than Jamal Khashoggi? (1) The Khashoggi murder is standard operating procedure in Saudi Arabia – except that he was a journalist living in Washington, so the press went crazy over it. 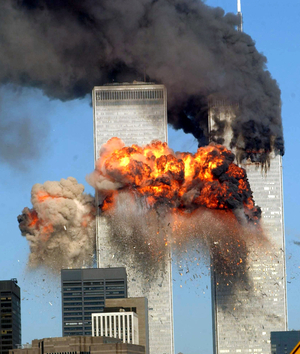 (2) If 9/11, with 3,000 Americans dead, barely shook the U.S.-Saudi relationship, I find it hard to imagine that the Saudis killing a single one of their subjects, and an ardent Islamist at that, will do much to damage that relationship. Q: You imply that Saudi Arabia was in some way responsible for 9/11. A: I do, yes. The George W. Bush administration did its best to hide this fact but most of the facts eventually came out, especially after the partial release of the famous "28 pages" in 2016 which found "incontrovertible evidence that there is support for these terrorists within the Saudi Government." Or, in the words of the analyst Simon Henderson, "official Saudi money ended up in the pockets of the attackers." Q: Relations between Moscow and Jerusalem dropped precipitously after the Syrians downed a Russian plane in Syria. Is a major crisis in store or will pragmatism prevail? A: The latter: the Russians know they are lying about Israeli responsibility; they need Israeli forces to contain the Iranians in Syria; and they don't want or need Israeli enmity. Q: Do you foresee the Iranian regime collapsing in the near future, given the renewed American hostility? A: It will eventually collapse but I do not know when, nor how much of a role the American sanctions will play. No one predicted the unrest in Tunisia in December 2010 and I doubt anyone can predict when some empty bakery or gas station might spark riots that bring down the Islamic Republic of Iran.